Cacao-infused water with bits of chia seeds for a high-fiber, hydrating drink that will power up your afternoon and cleanse your body. Chia and I are best pals. When I don’t want to add fruit to my smoothies, I use chia. Blend, leave to thicken and BOOM! Thick smoothie, sans banana. Chia is also a fabulous natural source of energy. Soaked in water, Aztecs used the drink to amp up their stamina when preparing for war. 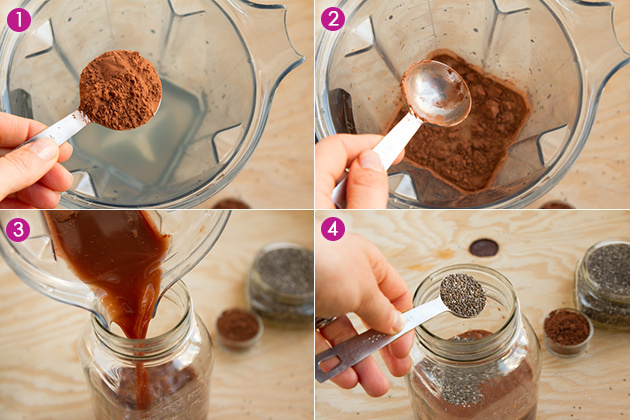 Aaand (because pre-war stamina may not be your thing…) chia also has the ability to make your bowels happy. Ever tried munching down on a handful of chia? Don’t. It took me over an hour to get all of the sticky bits out of my teeth. 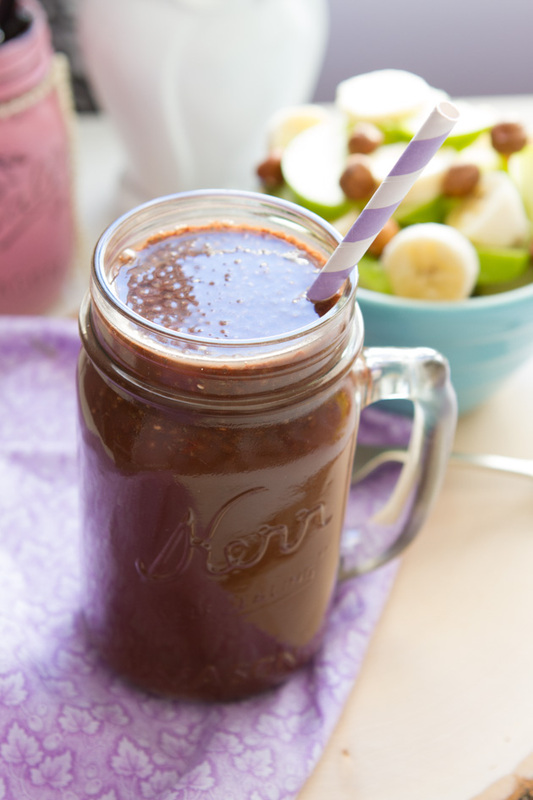 What you should do is mix chia with coconut water and a bit of chocolate (for good measure). 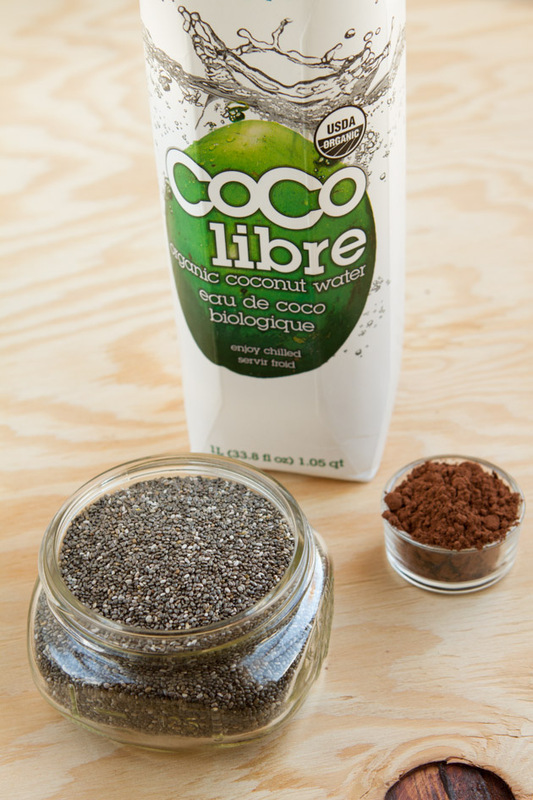 The energy- boosting benefits of chia + the electrolytes in coconut water makes the perfect all-natural energy combo. No sticky bits in teeth, smiling bowels and stamina for… well, whatever really. 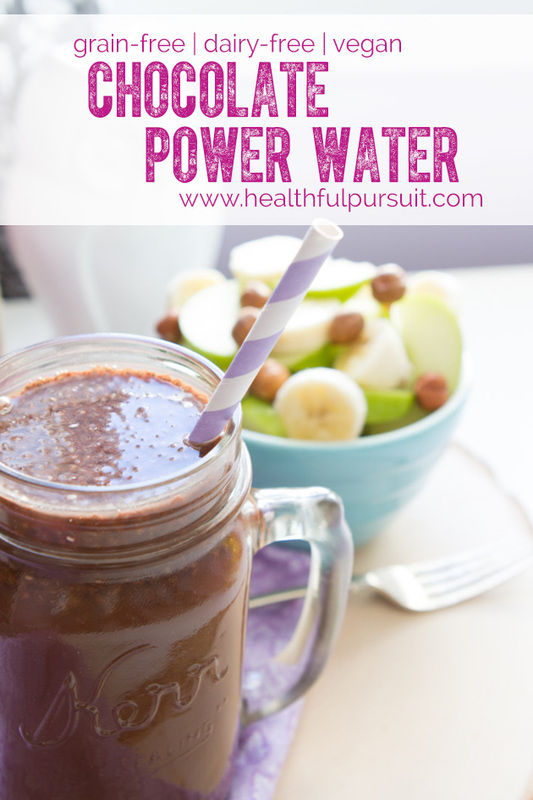 Click here to get my Chocolate Power Water Recipe – I shared it on Daily Bites Blog this morning. Free of refined sugars, flavors, and anything artificial. 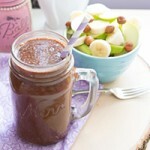 This chocolate water will hydrate, refresh and eliminate toxins safely and effectively. My new recipe section has the nutrition information for every recipe I’ve ever created. To search recipes, click on RECIPES on the top navigation. Scroll down, and start searching. Each individual recipe has its own nutrition information box at the bottom of the page. Is chia easy to find in your area? What recipes do you use that call for chia?